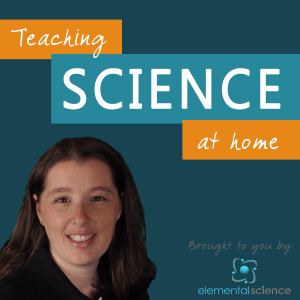 Welcome back to the bi-weekly homeschool Science Corner! 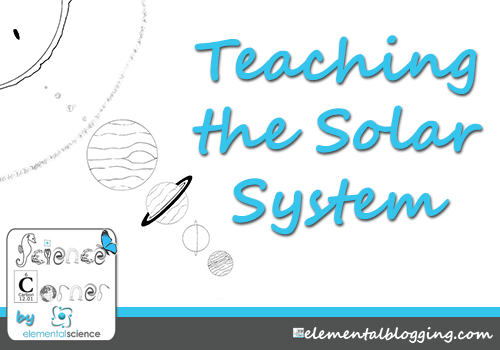 This week I want to share with you some activities to help you as you teach your students about the solar system. 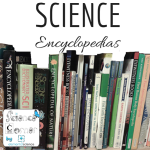 Our solar system is the collection of planets and other objects that orbit around the sun. It includes the eight major planets Mercury, Venus, Earth, Mars, Jupiter, Saturn, Uranus, and Neptune. It also includes comets, stars, and asteroids, such as those found in the Asteroid and Kupiter belts. Finally, our solar system includes space debris and the dwarf planets Pluto, Ceres, Eris, and a few others. Why is Pluto a not planet? You may notice that I didn’t mention Pluto as one of the planets in our solar system. As much as we all love Pluto and remember it fondly as a planet, in 2006 astronomers demoted it to dwarf planet status. Basically, they redefined the necessary components of a planet and Pluto no longer fit the standards. One of the best ways to give your students a feel for the solar system is to do a scaled wall-size reproduction. You can do this project as a border in your school room or in the students room. Below is a scaled version of the sizes of the planets and distances they are from the sun. If you don’t have the wall space, do this project on paper. Begin by getting two 11”x 17” sheet of black construction paper or three 8 ½” x 11” sheets together to make an 11” x 34” or 8 ½”x 33” sheet of paper. Place the Sun on the far left, then measure the distances of the planet. Use a pencil and a string so that you can draw a semi-circle since some of the planets will be very close and you may need to stagger them. Use the information below for the distances from the sun. 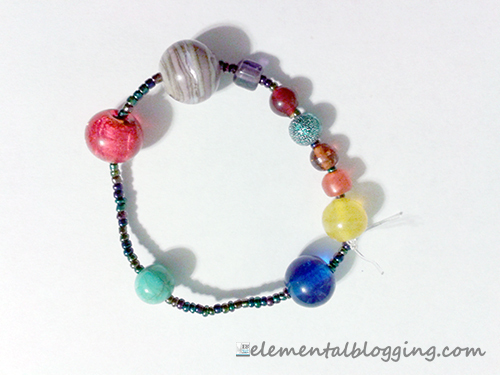 Solar System bracelet — My daughter and I made this solar system bracelet. As you can see from the above picture, we couldn’t fit all of the spacer beads they suggested, but we had a lot of fun with the project. Plus, it reinforced the order of the planets in our solar system in her mind. Tap-light Solar System — I’ve pinned this tap-light solar system project for later use with my son. 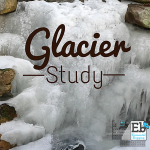 It looks like a great project that your kids can enjoy for months to come. Solar System Fact book — Since my daughter is older, I also had her make a solar system fact book. 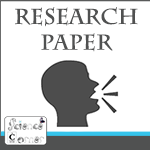 Basically the students research facts about each planet and record it in a booklet. It’s scheduled as an activity in our current science program and I’ve made a printable to go along with the project, which you can download for free here: Solar System Fact Book Template. (Edited to Add 1/14) Solar System Display — This activity from the Kids Craft Blog explains how to make a model solar system for a smaller space. 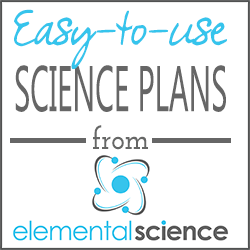 I hope that you find the activities and resources in the article useful as create a plan for teaching the solar system in homeschool science. If you have any questions, please feel free to leave them in the comments and I’ll answer them as soon as I am able.